After a relaxing morning in the spa area we were really ready for a good lunch! But this was more than we expected. A fresh and delicious three course tasting menu was waiting for us, as a friendly server and a wonderful wine paring - of course only Italian wines! The amuse bouche was a typical bruschetta with fresh cherry tomatoes and italian olive oil. While my first course has been an excellent prosciutto crudo with fresh burrata (our favourite kind of mozzarella), my colleague Daniel was served an eggplant lasagne which was light and fresh - simply really delicious. 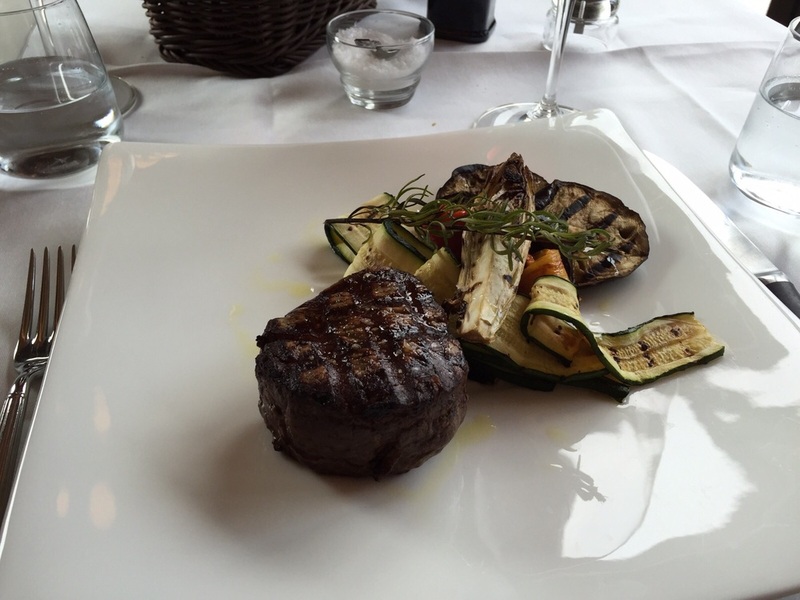 As a main course we had a perfect filet steak with grilled vegetables as well as a veal escalope Vienese style (the best we ever had - even better then in Vienna itself). The excellent yet simple veal has been accompanied with fresh rocket salad - a very interesting pairing but perfect. 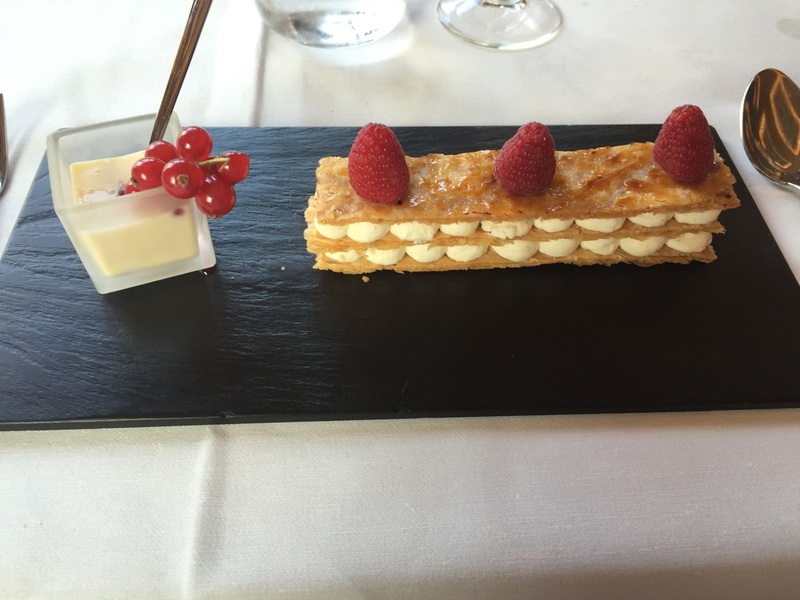 Finally, the first dessert was a tiramisù in a glass with fresh berries, while the second dessert has been a mille-feuille with a homemade zabaione served with a delicious italian sweetwine. All in all it was a light lunch with amazing lake views, perfect and attentive service as well as a sophisticated atmosphere. The Restaurant "Orangerie" showed once again that it is an excellent venue for both: lunch and dinner. See the review of the overnight stay at CastaDiva as well. The lunch was sponsored by the CastaDiva Resort & Spa. However this represents our personal opinion.